Cappadocia, Turkey: Colorful Hot Air Balloons Flying Over The Valley At Cappadocia. Hot Air Balloons Are Traditional Touristic Attraction In Cappadocia. Lizenzfreie Fotos, Bilder Und Stock Fotografie. Image 114618795. 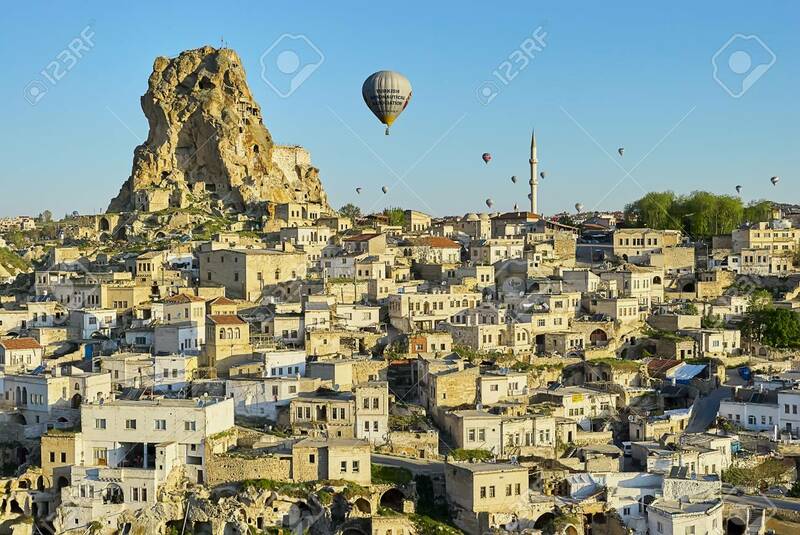 Standard-Bild - Cappadocia, Turkey: Colorful hot air balloons flying over the valley at Cappadocia. Hot air balloons are traditional touristic attraction in Cappadocia. Cappadocia, Turkey: Colorful hot air balloons flying over the valley at Cappadocia. Hot air balloons are traditional touristic attraction in Cappadocia.